Five tickets left at the start of the week but I had to wait until Wednesday to find out if I could drive. Worth the risk? Worth spending four times longer in the car than the time the band were on the stage? Hell yes! A medley from the Make a Jazz Noise Here album, though it goes back even further, to the Ahead of Their Time album recorded in ‘68, and the whole bunch of them are cross-fertilising rock with classical music, infused in a baroque style and the whole thing underpinned with a jazz sensibility. 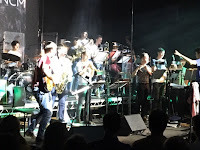 The horns dropped out for Peaches en Regalia, which opens Hot Rats - Britain's Favourite Zappa album - and March played the guitar parts heavily laden with effects, which isn't how Zappa played, only fully adopting the Hendrix revolution in the mid-seventies. Cannonball Adderley alumni, one time Mother and best mate of Stanley Clarke claimed Zappa was an under-rated guitarist, appreciated more in jazz or classical music than rock. 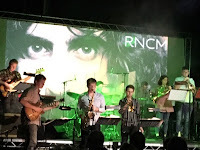 Then the band dropped out for Study on 6 by Conlon Nancorrow, one of Zappa's classical influences, and the gig more or less alternated between classical and rock until the final medley. The former included Frank's own tribute to Stravinsky, Igor's Boogie and Octandre by his favourite classical composer Edgard Varese. The latter included Take your Clothes Off When You Dance during which many removed items of clothing (which was in the spirit of Zappa) only to reveal they were wearing extra clothing underneath (which wasn't), and Big Swifty, keyboards taking some very jazzy solos and a fine bass solo. Some keyboard strobes reminded us when it was rock and some old rockers talking rather loudly through the classical stuff reminded us when it wasn't. I don't generally get upset by this but I found their selectivity selfish and inappropriate. Frank mixed every style of music you can think of into something entirely original, which wasn't rock, classical, or jazz but all of them and much more and I think it's a mistake to separate it out and suggest, on the one hand, he did this and, on the other, he did that. Certainly, he used juxtaposition to achieve the whole and I've no doubt this was arbitrary, but you lose something when you mess with it. It sounds like I'm being critical but it was amazing to see these young musicians playing this music to young people, old rockers, suitably eccentrics and classical nerds. I was excited, moved, overjoyed, and restless and by the time the horns took over the melody of Duke of Prunes (orchestral), I felt like I was pinned to the wall. Look out world, Zappa's on the move. *Ahead of Their Time was recorded live in London and ends abruptly due to a curfew because of the 'subway' so it's possible it may have led to Lumpy Gravy. 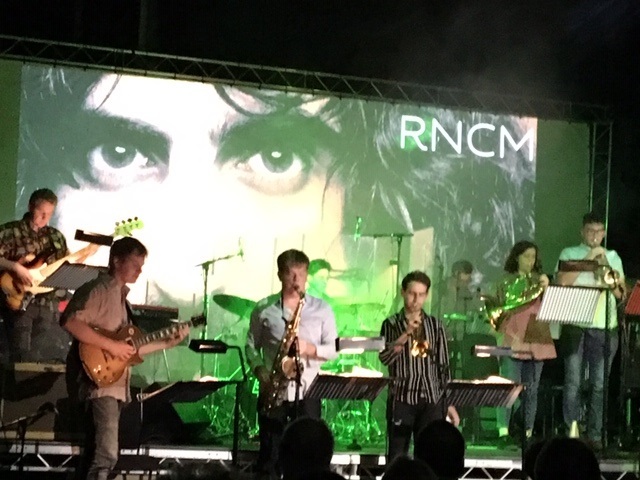 Band: Jack March (guitar), Tom Chapman (bass guitar), Andrew Jones (keyboards), Gabriel Alexander (drums), Simeon Evans (sax), Cameron Lockett (trumpet). 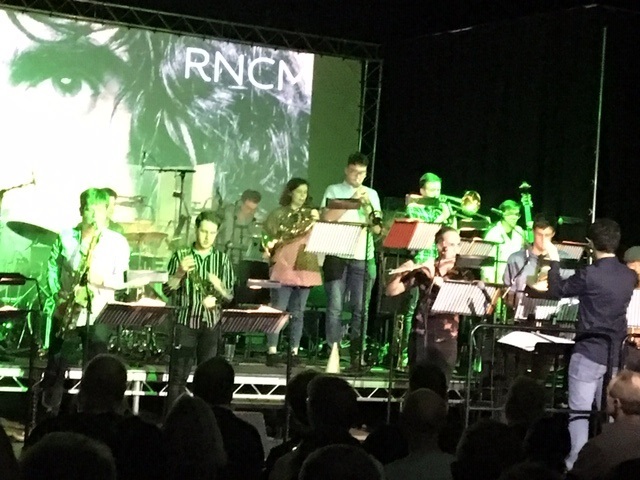 RNCM Wind Ensemble: Michael Ready (flute, piccolo), Adam Bowman (oboe, cor anglais), Chao Chen (clarinet, bass clarinet), Leonardo Bizzotto (bassoon), Lauren Collings (horn), Daniel Tarrant (trumpet), George Hardwick (trombone), Darren Gallacher (percussion), Nigel Smith (double bass). Conductors: Clark Rundell, Andrew Casey, Laurent Zufferey.